Bryan Carroll and John Hartnett have been appointed Non-Executive Directors on the Board of Xtremepush, the Irish-owned digital analytics and engagement software firm. The business facilitates analysis of mobile and web customer traffic, driving engagement and revenue while reducing cost. The analytics and engagement marketing business has grown rapidly since it was founded in 2014. A large US, Irish and European client base includes global concerns such as Hearst Digital, Anvil Group, the National Bank of Abu Dhabi, Funstage/Novomatic, 7-Eleven and the U.S. PGA Tour. Bryan Carroll is currently Executive Director of iConnect 101, a practitioner-led consultancy and system integrator, which he co-founded in 2017. Previously Bryan was Group Head of Solutions Design and CTO of the National Bank of Abu Dhabi. An industry pioneer in Digital Transformation, Digital Banking, Artificial Intelligence, Distributed Ledger Technology, Innovation and Enterprise Architecture, Bryan has held senior executive roles with companies across Europe, the Middle East, Asia, and North America, including Rabobank, KBC, Bank of Ireland, Royal Bank of Scotland and Ernst & Young. John Hartnett is Chief Development Officer with Paddy Power Betfair, with global responsibility for B2B, joint ventures, and acquisitions. Previously John was MD International, with responsibility for International B2C and B2B business, the Betting Exchange, Customer Operations and Risk & Trading. The economics & finance graduate has been with Paddy Power Betfair since joining the company’s graduate recruitment programme in 1999. He was part of the original team who founded paddypower.com. Prior to the Betfair merger, John was Managing Director of the Paddy Power Online business and also spent five years in Australia with the company’s Sportsbet business as COO. Founded by CEO Tommy Kearns and CTO Dr. Kevin Collins, Xtremepush is based in Ranelagh in Dublin, and currently employs 20 people in Ireland, Ukraine, and the UK. Key vertical markets the business services include sports betting and gaming, banking, publishing, travel and e-commerce. Irish clients include Empathy Marketing (Pigsback.com, Dealrush.ie) RTÉ, the Irish Independent, Bank of Ireland, AIB Bank, NTA, Jobbio and Myhome.ie. The company’s appointment of significant industry leaders in their chosen fields reflects active expansion plans, pursuing both acquisition and organic growth strategies. Between them, Bryan Carroll and John Hartnett have a vast amount of experience in retail banking and sports betting and gaming which are key verticals for Xtremepush. 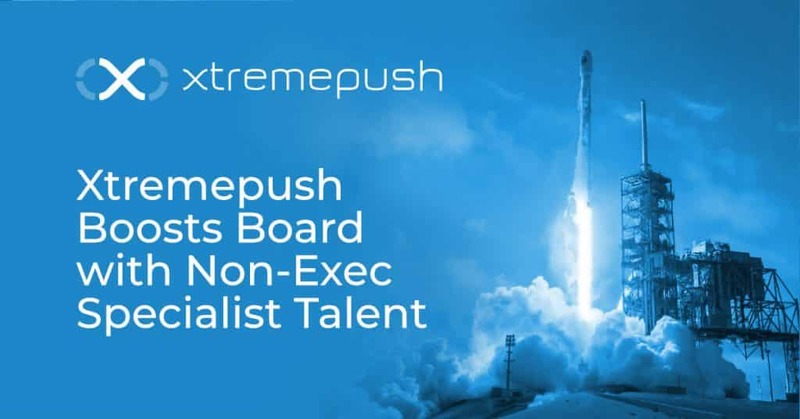 Tommy Kearns, CEO and Co-founder of Xtremepush, says the high-profile appointments are central to the next phase of the company’s growth plans, where the support and strategic guidance of the new NEDs will enable the business to expand at scale and globally. “This is a very exciting time for our company. Bryan and John bring a wealth of experience from very senior positions internationally that will be incredibly valuable to Xtremepush as we continue to scale globally and transform the enterprise analytics and engagement software industry”, Kearns says.